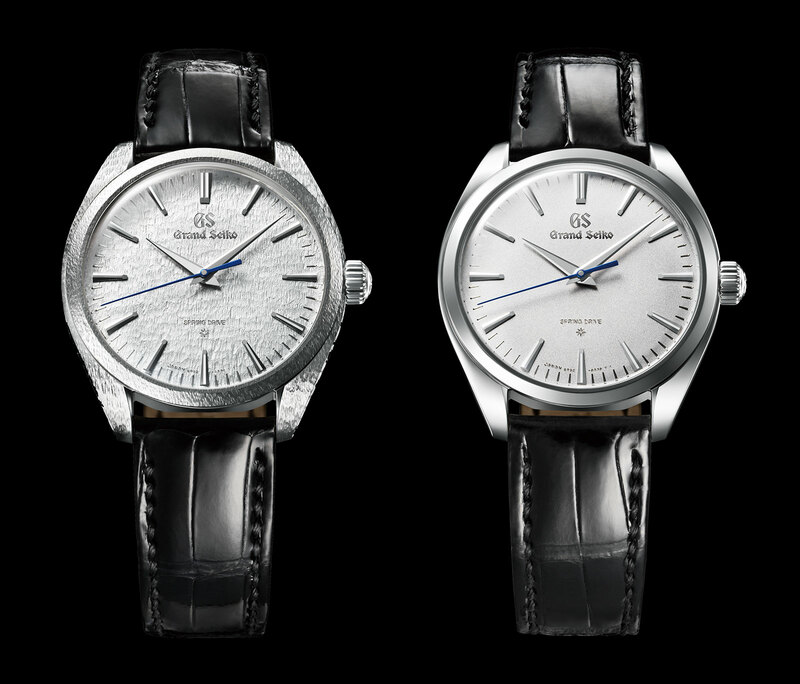 When I first got word of the recently launched, top of the line Grand Seiko Elegance Collection, specifically the Spring Drive 20th anniversary models SBGZ001 and SBGZ003,I was slightly disappointed. Not because of anything intrinsic to the two watches, both powered by the new 9R02 movement, but because both are new products from the venerable Micro Artist Studio. Two more models, in addition to the striking watches, Eichi II, and Grand Seiko 8 Days that are already in the catalogues, instinctively felt like too much for the tiny artisanal workshop, diluting the refined provenance. But I was wrong. The new 9R02 movement is a masterful calibre, and a striking improvement over the movement it is based on, in terms of construction, decoration and design. 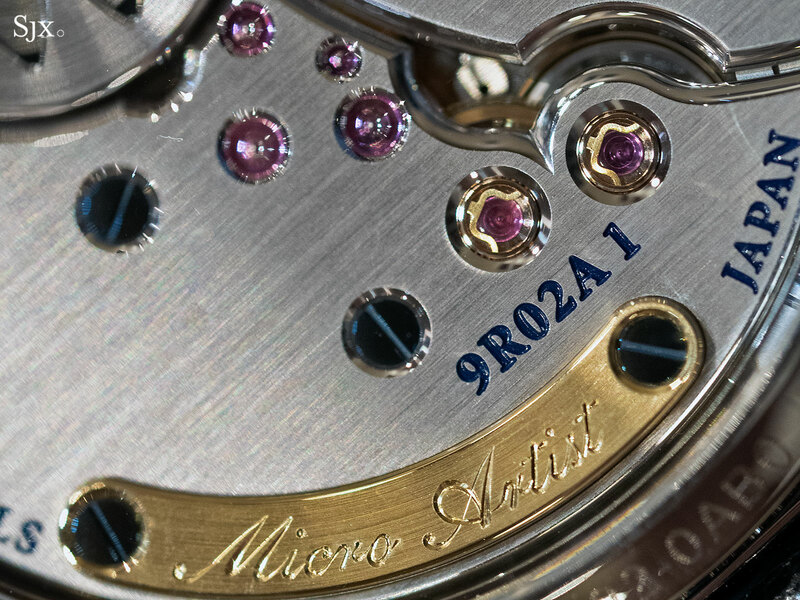 It’s likely the best-finished movement to emerge from the Micro Artist Studio. 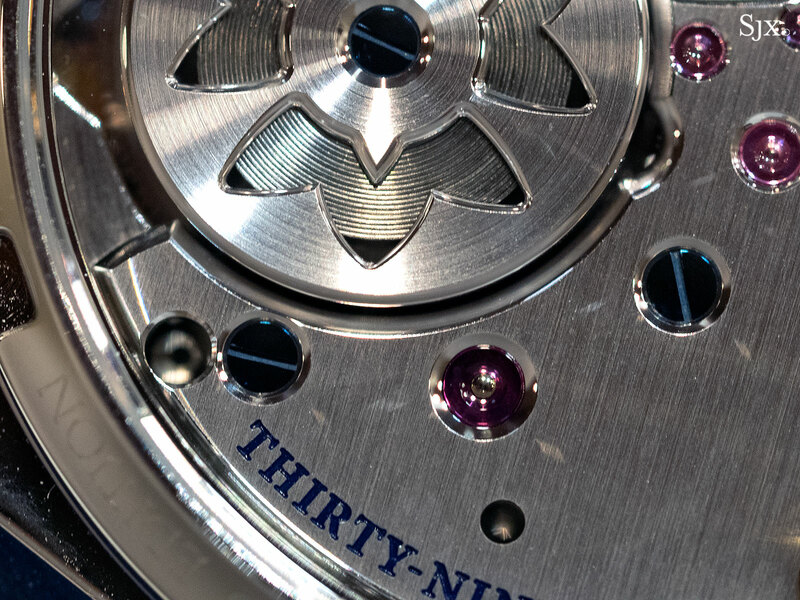 Although the 9R02 was the flagship launch at Baselworld, and rightly so, there was only a single example of the movement inside a watch at Seiko’s stand. All the prototype watches shown contained only paper facsimiles of the movement. But I absolutely had to see the watch and thanks to the heroic efforts of the intrepid Ms Naruse of Seiko I got my hands on the one specimen available. 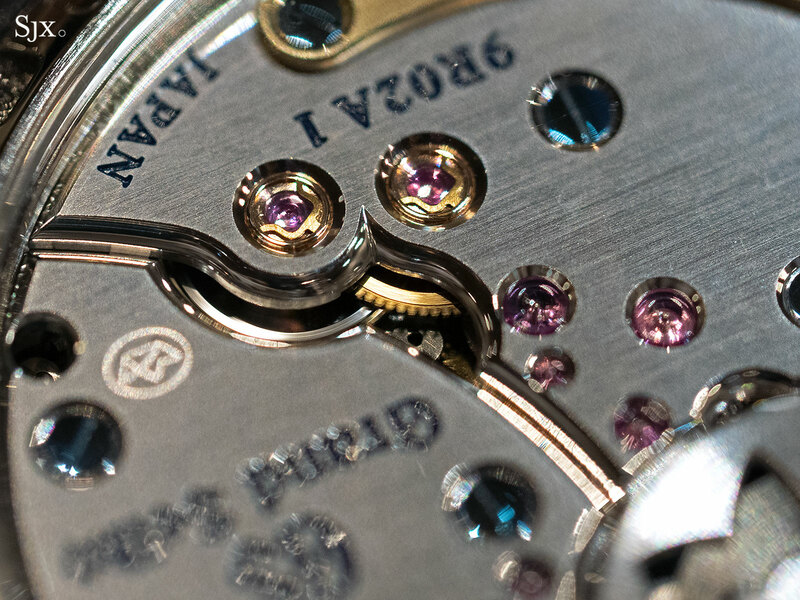 The 9R02 is derived from the 7R14 movement found in the Credor Eichi II, explaining the obvious similarity in layout and features. 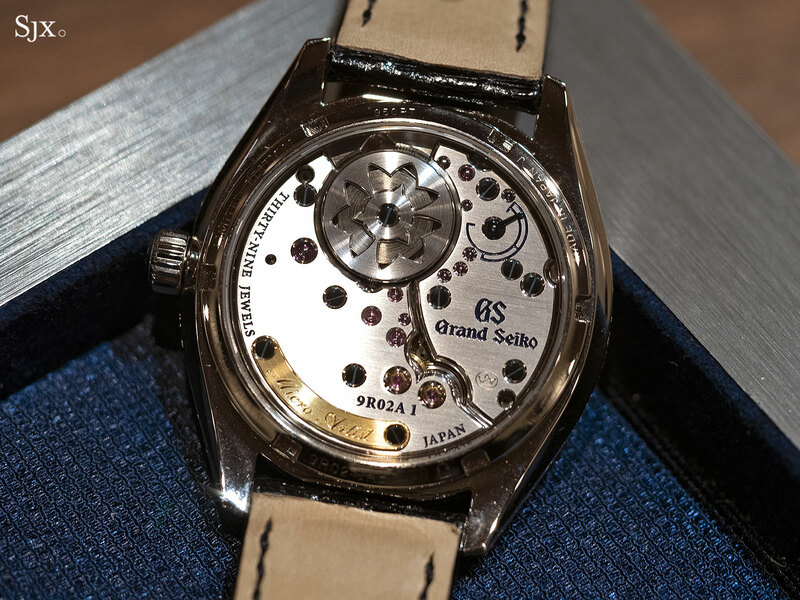 But having been conceived to mark the 20thanniversary of Spring Drive, Seiko’s proprietary mechanical movement with an electronically controlled regulator, the 9R02 has been upgraded substantially, most notably with a longer power reserve of 84 hours, compared to just 60 in the 7R14 of the Eichi II. That was accomplished with two features. One is the pair of stacked mainsprings within a single barrel, both operating in parallel. Compared to a similar Spring Drive movement with a standard mainspring, the twin stacked springs lengthen the power reserve by about 50%. The other is an improved Torque Return System, originally devised for the Credor Eichi I. Essentially a recycling mechanism for the energy that powers the watch, the system uses excess energy from the mainspring to rewind itself, giving the watch an extra 14 hours or so of power reserve. According to Seiko, about a third of the energy output from the fully wound mainspring is excess, meaning the watch can operate perfectly on just 70% of the energy. The extra energy is instead recycled into rewinding the mainspring and thus extending the power reserve. 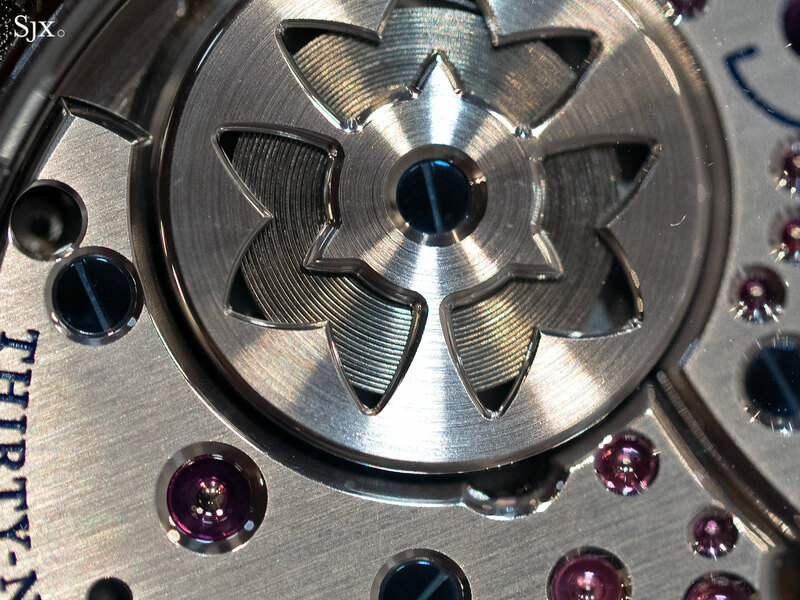 The Torque Return System operates for the first 48 hours of the power reserve, after which the energy in the mainspring falls to a level where there is no more excess. The finishing of the 9R02 has been significantly improved over that in the Eichi II. Given that the 7R14 in the Eichi II is already a remarkably well-finished watch, one of the best in current production in fact, that is quite a remarkable achievement. 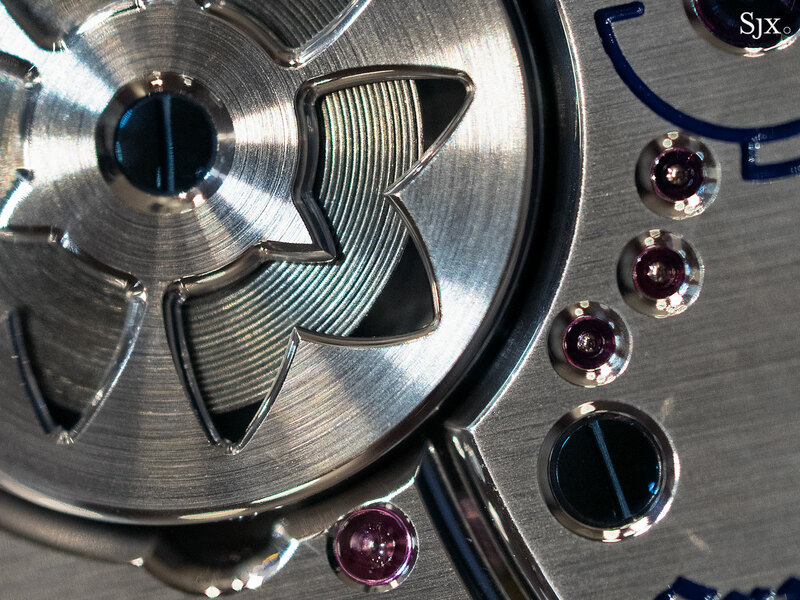 The most obvious improvement is a decorative flourish of the sort used by the very best watchmakers just to show off: the sharply defined and sensuously curved inward angle on the edge of the bridge, in between the two jewels for the Spring Drive glide wheel. 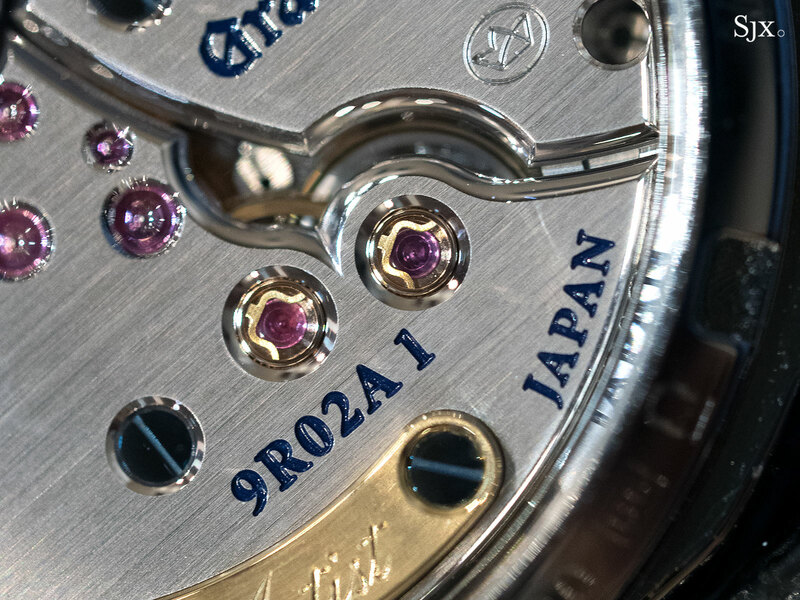 With that the 9R02 eliminates the only weakness of the Eichi II’s 7R14 movement, its lack of a sharp, inward angle on the bevelled edges of its bridges. Other improvements in the 9R02 are less pronounced but contribute to a slightly more elaborate looking movement. That includes broader edge bevelling on the bridges, as well as noticeably wider polished countersinks for the jewels and screws. A new addition I do not particularly like is the solid gold plate engraved “Micro Artist Studio” that’s screwed onto the left bridge; owners also have the options of replacing the engraving with their name or initials. No doubt inspired by the same on Philippe Dufour’s Simplicity, the plate feels unnecessarily showy. 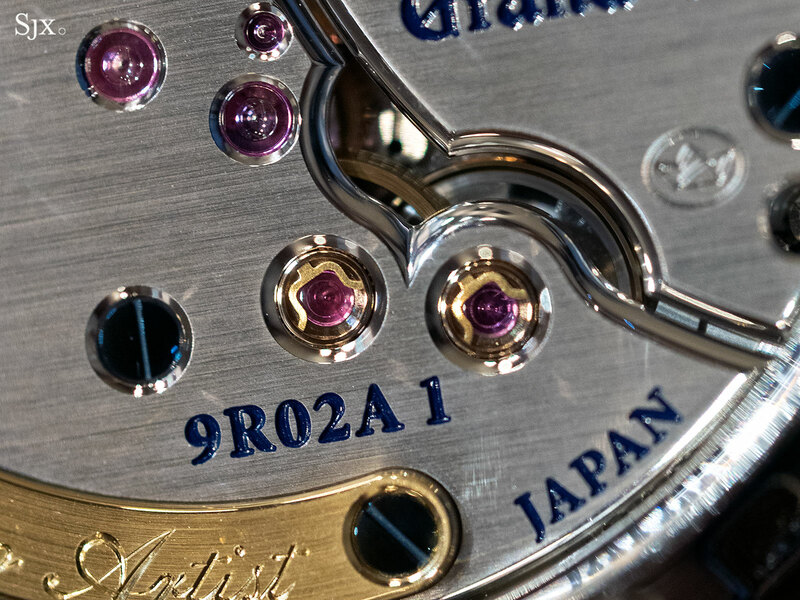 Other changes are purely cosmetic, most prominent being the blue lacquer filling of the engraving, replacing the gold fill on the Eichi II. Only Elegance Collection models are equipped with the 9R02 movement. Both have the same platinum case that is compact and slim – 38.5mm in diameter and 9.5mm wide. 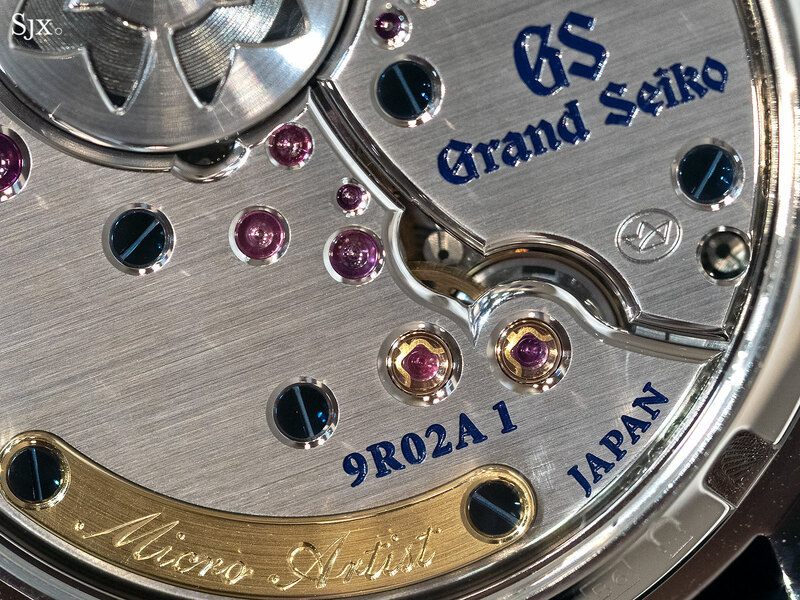 The case is smaller and thinner than the Eichi II that’s 39mm and 10.3mm, but because of the proportions of width relative to height the new Grand Seiko feels slightly elegant. It has short and somewhat stubby lugs, while the smaller case diameter means the thinness is less obvious. The more elaborate of the two – actually the most elaborate time-only Seiko watch – is the SBGZ001, a 30-piece limited edition with the case and dial engraved with a “snowflake” pattern. 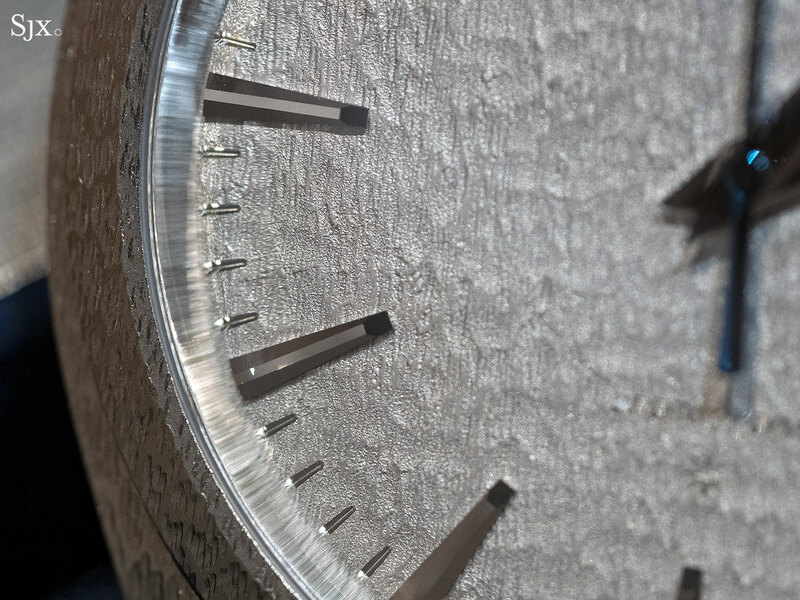 Meant to evoke the snow that blankets the area where the Micro Artist Studio is located, the motif is engraved on the case and dial by machine, albeit guided by hand. 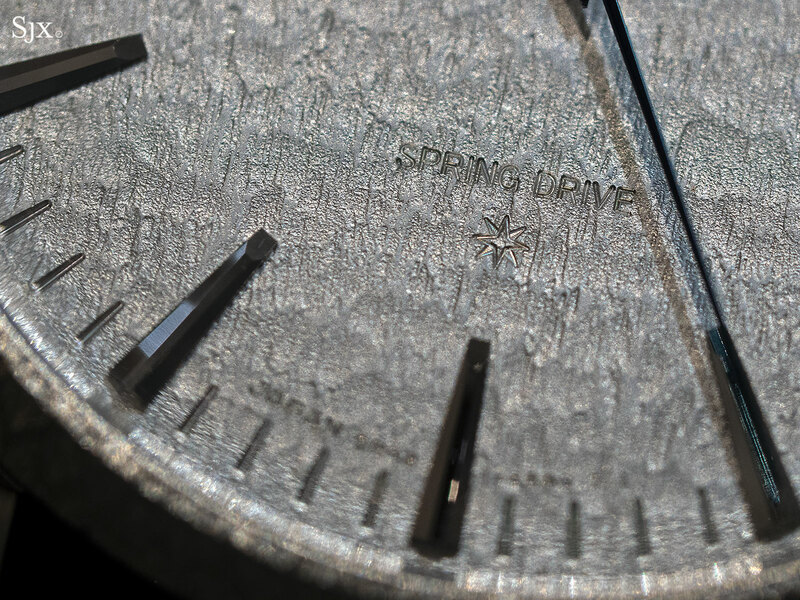 It is not a hammered finish, although it does resemble such a surface at a distance. 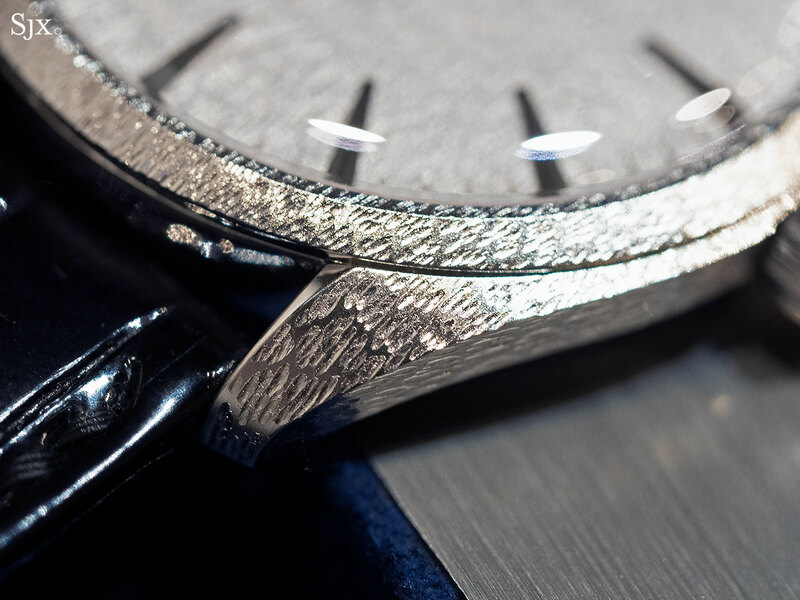 The SBGZ001 has its hour markers and hands executed in the typical Grand Seiko style, which means diamond-cut, razor-sharp edges and mirror-polished surfaces. 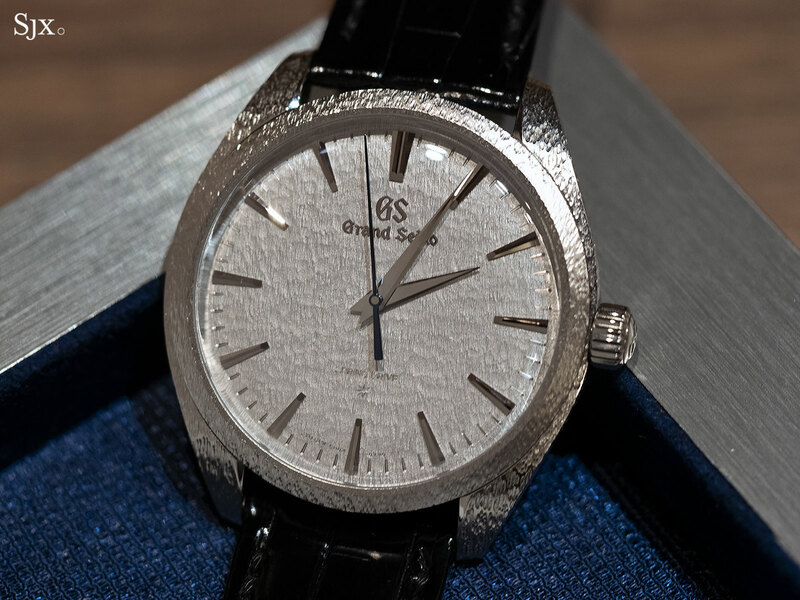 But unlike ordinary Grand Seiko watches the hour markers and hands are in 14k solid white gold. 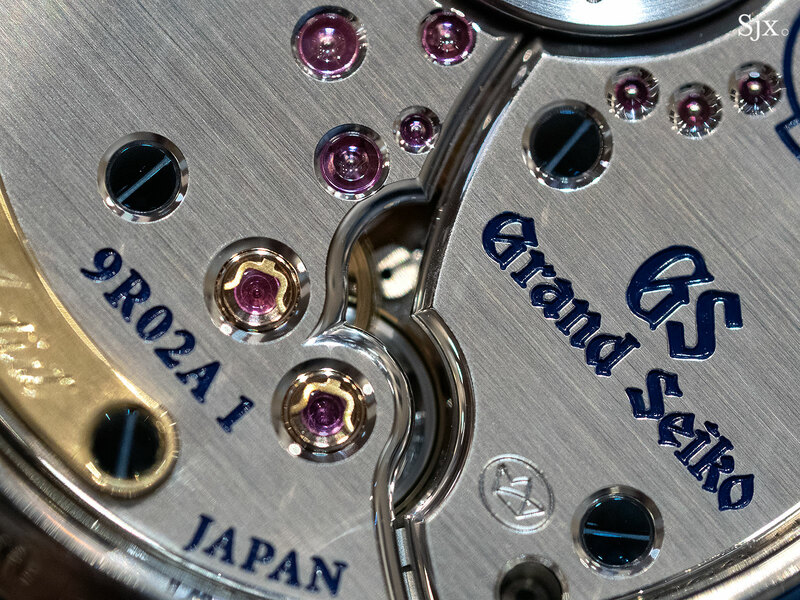 Notably the Grand Seiko logo and markings on the dial are engraved (by machine, explaining the clean edges of the engraving), a feature reserved for limited edition Grand Seiko models. 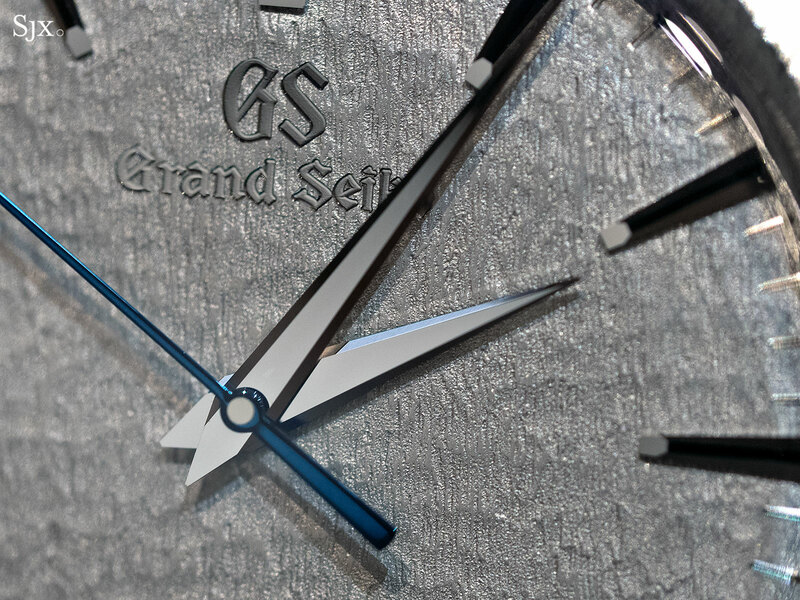 And the tiny star above six o’clock is the Grand Seiko “SD” emblem, short for “special dial”. 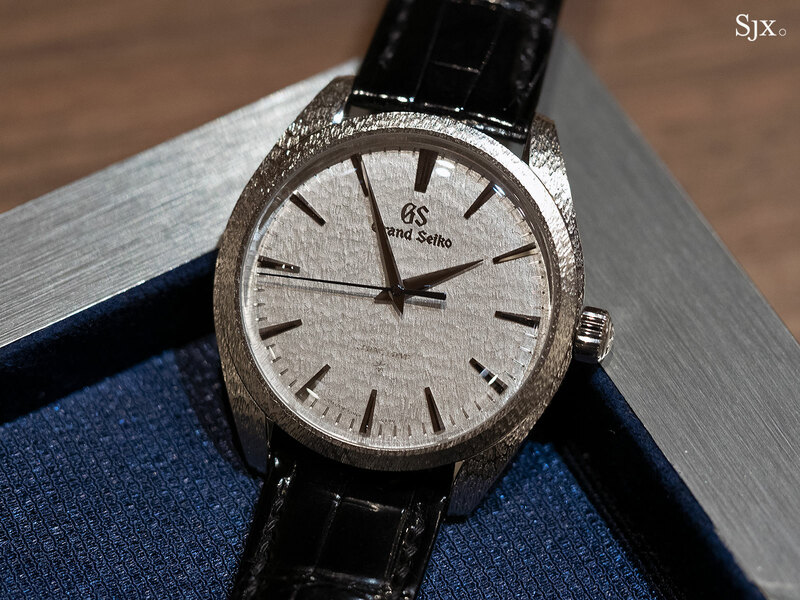 The second model is the SBGZ003 that’s essentially the same as the “snowflake” limited edition, right down to the white gold hands and markers, but without the engraved decoration on the dial and case. Consequently it is significantly less expensive – by about US$18,000 in fact – and is also regular production. That makes the SBGZ003 significantly better value than its engraved counterpart, which is special but markedly expensive. Using another benchmark, the SBGZ003 is about US$3000 more expensive than the platinum Credor Eichi II, fair given the superior movement finish. The SBGZ001 is limited to 30 watches, priced at 80m Japanese yen, or about US$73,000. 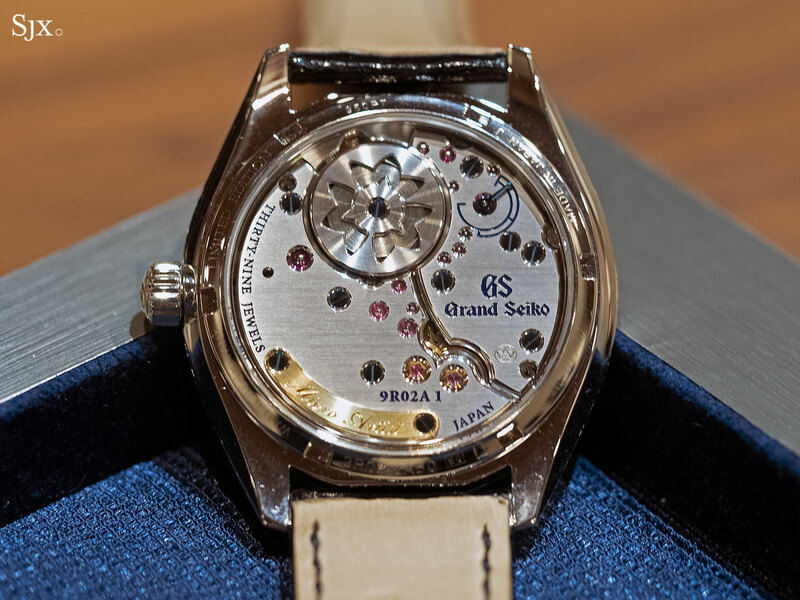 The SBGZ003 is part of the regular collection, and has a price of 60m yen, equivalent to US$55,000. Both prices exclude taxes. The watches will be available starting July 2019.